How does it feel to see your name among the Cowboys greats in Texas Stadium's Ring of Honor? What was it like to be recruited by professional scouts? What happened to the guy who hooked Randy White in the back with a wayward fishhook? How did legendary coach Tom Landry motivate his players? How did a waterbed and transcendental meditation help Cliff Harris gain an edge over his opponents? Replete with memories from his college days at Ouachita Baptist and then as a member of the Dallas Cowboys during the "America's Team" era, Cliff answers those questions and more in the updated edition of Captain Crash and the Dallas Cowboys. Read about his teammates, his coach, his enemies, training secrets, Super Bowls of which Cliff played in five, winning two Pro Bowls, motorcycles, and motorboats. In this book, first published in 2006 and now including a new introduction, Cliff takes us on the wild ride that was his life as a Cowboy free safety and how he got there in the first place. 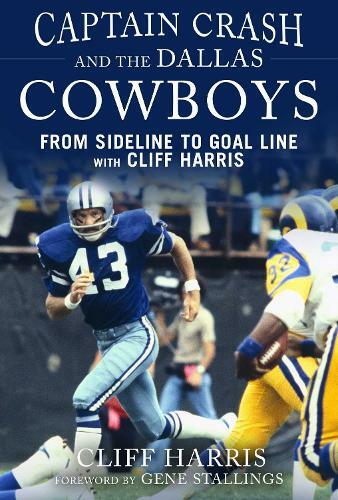 The book also includes great insider stories written by famous fellow players Walt Garrison, Roger Staubach, Lee Roy Jordan, and Charlie Waters. Perfect for the shelf of any Dallas Cowboys fan!